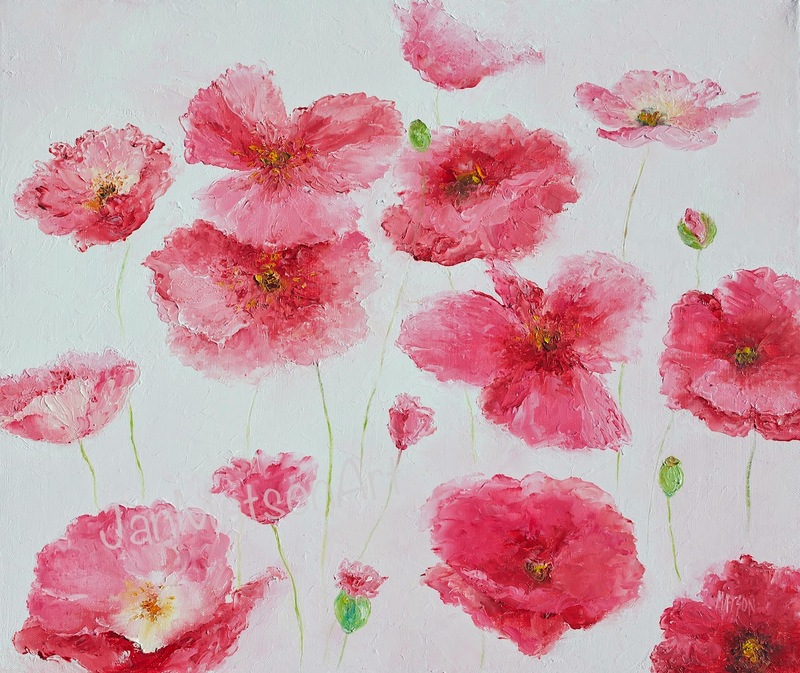 Poppies Oil painting on stretched canvas 24" x 20", sides measuring 1 1/2". 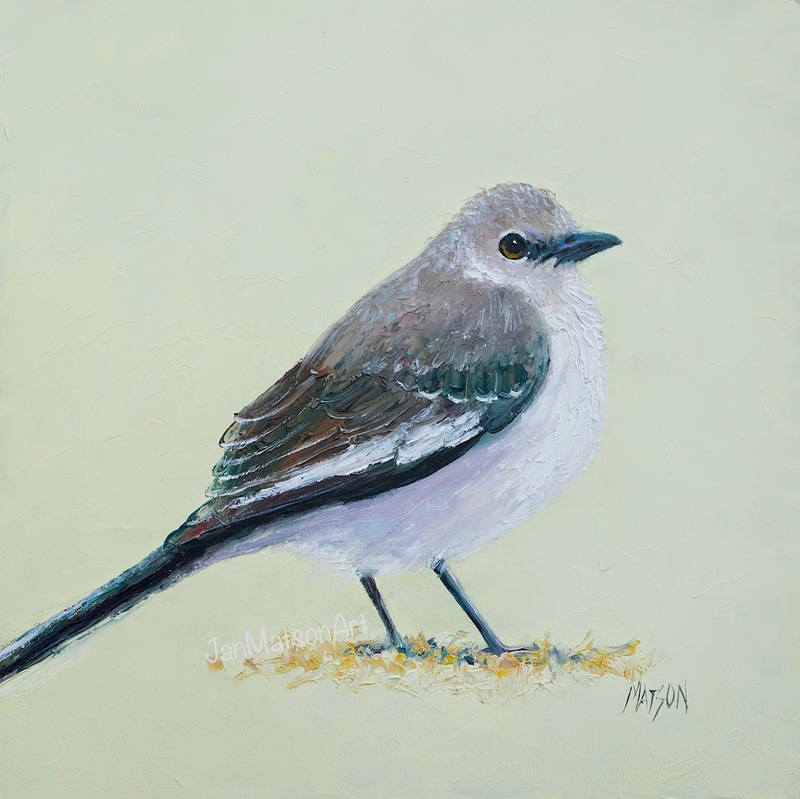 A sweet little bird painting for the bird lover! 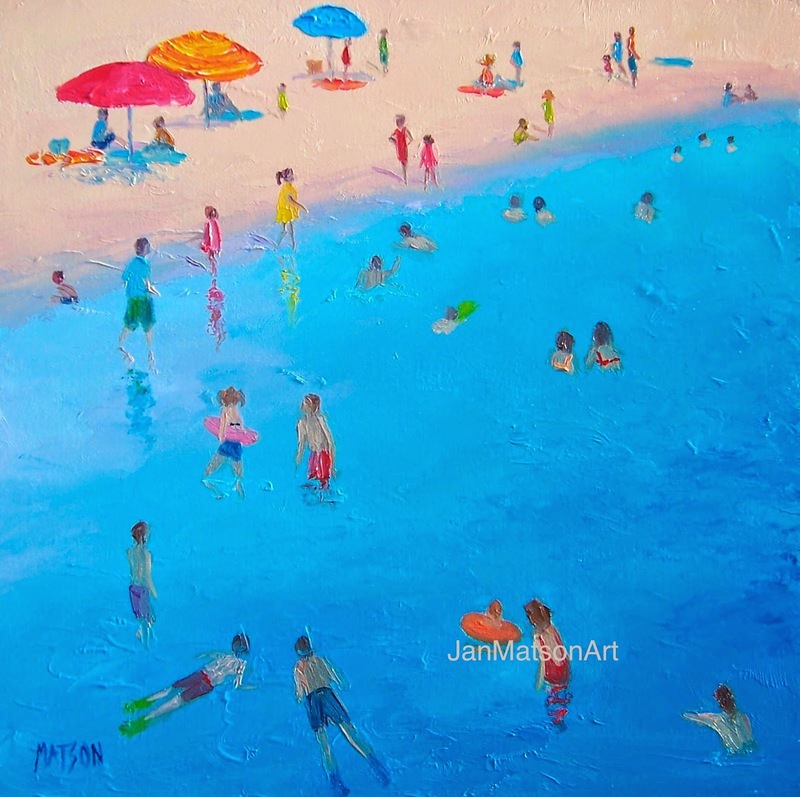 This beach painting is now available as a print. 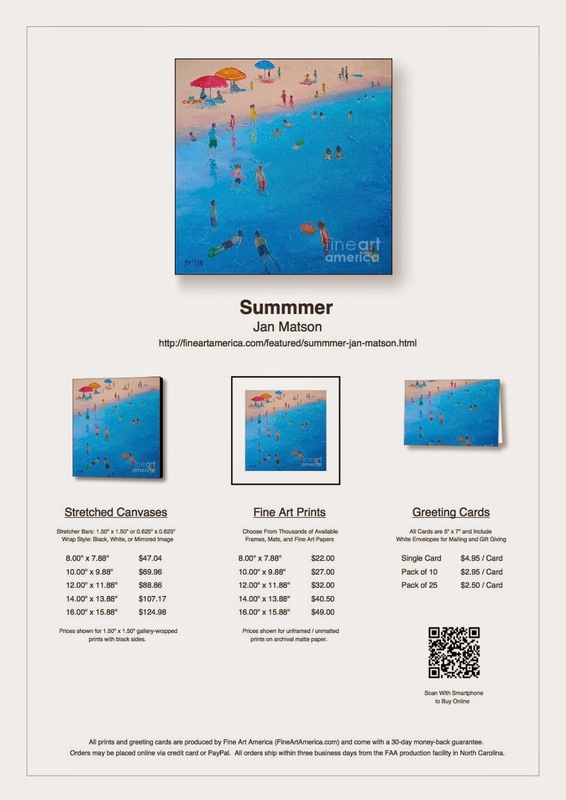 Click on the link above to view the various forms of print, canvas, metal, acrylic, poster, framed and even greeting cards. 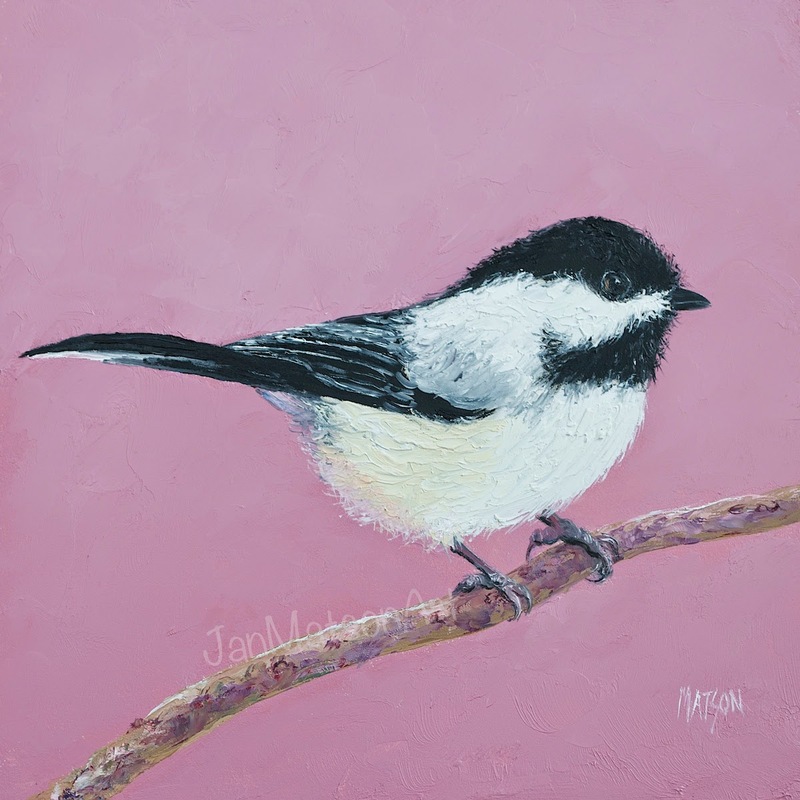 A sweet little Chickadee on a twig, for the bird lover and collector! 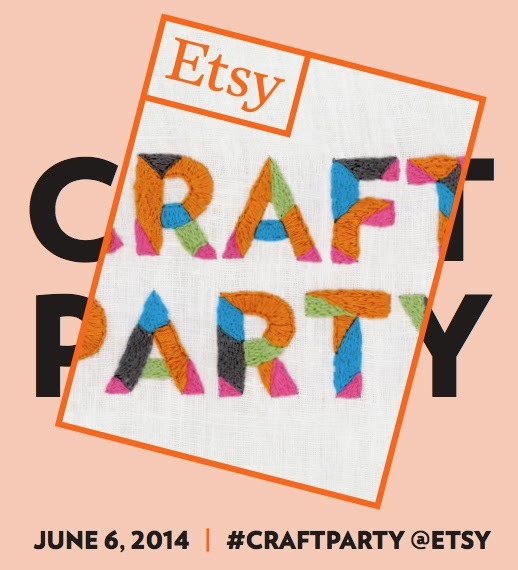 The Sydney Etsy team are putting on a craft event and will feature a surprise selection of four craft projects to bring new life to cherished photographs and memories. The event will be held at the Ultimo Community Centre Craft Room, 40 William Henry Street, Cnr Bulwara Road, Ultimo 2007, from 6pm until 9pm on Friday 6th June. Tickets are available through Eventbrite for $5 early bird special until May 9th and $8 subsequently. Entry covers all craft supplies, soft drinks and nibbles. 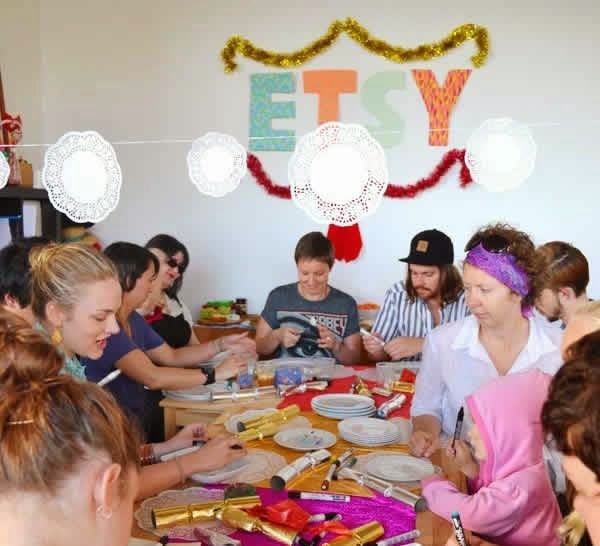 The Sydney Etsy Team is a group open to everyone, we currently have over 1,100 members and work to connect and support both buyers and sellers through events like these. A print of this painting is available on stretched canvas or other forms, please click here for details. 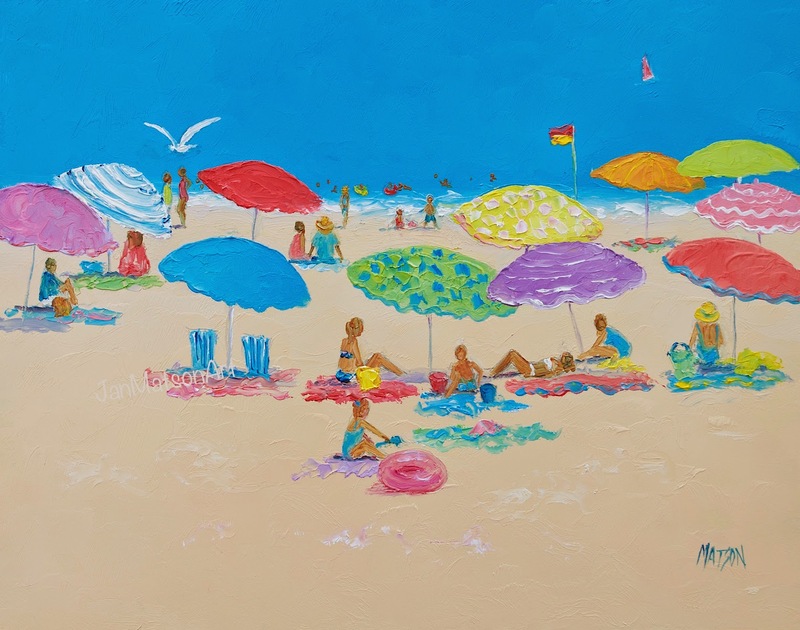 A bright and colorful painting of beach umbrellas, sure to add a splash of color to any room! 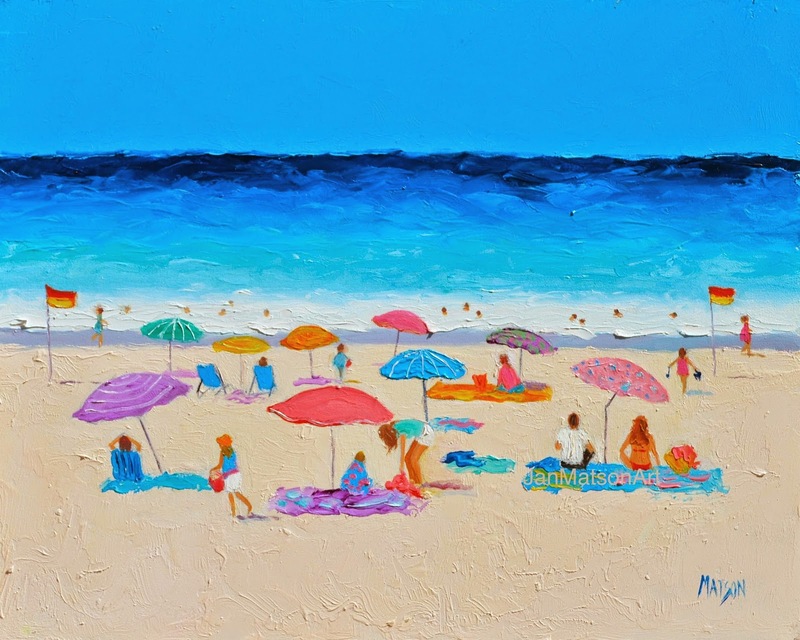 A bright and colorful painting of a busy day at the beach!